Someone called me asking if I was available to do some consulting. I explained that even though our name is Ranch Management Consultants, we actually do very little consulting. After folks have been to the Ranching For Profit School they may need some coaching, but they usually don’t need consulting. When we consult, we only work with Ranching for Profit alumni. It takes too long to get other folks up to speed on RFP concepts, and people need that for the things we suggest make sense. I asked her to tell me about the ranch. She explained that they run 250-300 registered cows, raising their own replacements. They calve in March and April and put up the hay they feed. They market the calves in the fall, selling them straight off the cows. The home place is mostly irrigated pasture and they have a BLM lease. It sounded like a pretty typical outfit for her part of the country. She said that they worked hard but didn’t make much and wanted an outside set of eyes to look at their situation and help get everyone on the same page as to what to do. I didn’t have to look. Hearing was enough. As I listened I started a list of low hanging fruit, reasonably simple things that they could act on quickly that would simplify the place, reduce their workload and put more money in their pocket. Why don’t you make a list before you read on and see how it compares to mine? These are not in order of urgency or importance. They are just in the order I wrote them down during our conversation. Selling calves into a commercial market from registered cows is a loser. You can’t recoup the additional investment you’ve got in registered stock unless you are selling breeding stock. Even then it can be a questionable proposition. But changing to commercial cows may not be the right move, which brings us to the 2nd issue. I think of forage in three broad categories: Breeding Feed, Growing Feed and Finishing or Dairy Quality Feed. Irrigated pasture is either growing feed or finishing feed. When you have breeding animals on feed that could support growing animals, the gross margin per acre is likely to suffer. A seasonal enterprise with owned or custom stockers would probably be a more profitable use of their irrigated pasture and reduce their workload. It would also liberate about $500,000 of capital they have invested in their cow herd! Whether or not they keep the cows, shutting down the hay enterprise is probably low hanging fruit. Of course they’ll need to crunch the numbers, but with 300 cows it’s unlikely they have the economy of scale to make making their own hay profitable. They may want to consider having someone put it up for them, but they’d likely be dollars ahead buying in whatever hay they need. And if they go with a seasonal enterprise they may eliminate the need for hay anyway. Using that “hay ground” for pasture will help them increase turnover, and at 300 cows they need more turnover. They would also liberate the capital currently trapped inside the equipment they own. Should you be growing hay? Here’s the test: If you didn’t need to feed hay to your own cows, would you still grow it? If the answer is “No,” then you shouldn’t be growing it whether you have cows or not. If it is a profitable enterprise keep it, but sell the hay to someone else. Your cows can’t afford it. I sent her a link to a video of someone in her area who’d shifted from March-April calving to June calving. That got the hay out of the operation, reduced other inputs and cut overheads. Of course, changing the calving season isn’t going to do them much good if they shouldn’t have cows in the first place. If they discontinue the cow-calf enterprise, their replacement strategy becomes a non-issue. But if they stick with cows, I hope they’ll take a hard look at their heifers. Heifers rarely have as good a gross margin as cows. If you are a limited-scale producer (and these days 300 cows is a limited scale) you can’t afford to let low gross margin animals eat grass that could be supporting animals with a higher margin. Having a fixed weaning date or weight target is another red flag. The value of gain changes year to year and as a season progresses. There are years when they’d be more profitable to sell lighter calves earlier. Calculating the value of gain is a simple process and could guide them to decisions that could result in more money for their calves, more grass left in their pastures and more condition on their cows. There are years when ranchers who wean and sell at a fixed time each year, leave thousands of dollars on the table. Their mission statement. Their mission statement needs to include a quantifiable description of owner value. Their vision statement. Their vision will become the blueprint for restructuring the ranch. A list of all of the key “Effectiveness Areas.” Effectiveness areas describe the results that need to be produced to run a successful business. Using effectiveness areas they can build an organization chart showing who is responsible for what and accountable to whom. Doing some quick math, it’s not a stretch to see that these changes could pretty easily add $100,000 to their bottom line, while simplifying the operation. They could hire a consultant, to tell them this, but it will be more effective if they discover it for themselves at the Ranching For Profit School. Take a listen to the rancher below, he was able to turn his operation into a profitable ranch with room for future growth. Do you have anything else on your list, or would you like to challenge something I have on mine? I hope you’ll share your thoughts with me and the nearly 7,000 ProfitTips subscribers. Running brood cows on irrigated grass presents both challenges and opportunities. 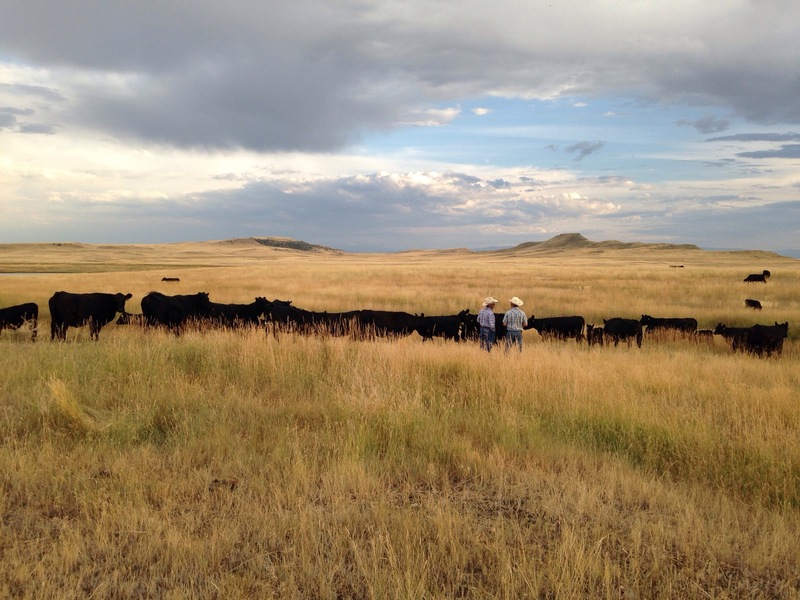 I was on a NE sandhills ranch once that ran their cows on their meadows (MIG) in the summer and wintered on their upland pasture, just the opposite of their neighbors that hayed their meadows and summered in the uplands. They had plenty of proof that they were increasing caring capacity steadily by increasing the upland grass production as well as their meadows. I was there after a heavy rain. Their meadows had soaked up the moisture while the neighbors across the fence had hay bales sitting in water. How many paddocks to you have? How long is the average rest period? How long is the average residence/grazing period? How many days do you graze annually? How many days do you feed hay? I realize that some of these are sort of duplicative, but as you noted in a recent article, sometimes the answers you get don’t line up. Math is hard. Aside from that, all of your red flags were my red flags. My only additional comment would be that I would place increasing turnover far, far down the list of things to worry about. The improvement in GM/Unit and Overheads that will result from your low-hanging fruit would likely be so radical that expansion would come organically, if everyone wants it to. « Which Circle Are You In?